Omaha, NE (November 17, 2016) – The countdown has begun to reach Omaha’s Henry Doorly Zoo and Aquarium’s two millionth visitor milestone. The current count as of November 13 is 1,968,401, with less than 33,000 visitors needed to reach two million. The two millionth visitor is estimated to walk through Omaha’s Henry Doorly Zoo and Aquarium’s gates early December. The Zoo will be starting a weekly countdown till December 1, then switching to daily. The two millionth visitor that walks through the redemption gates will receive a two-year complimentary Patron Level Zoo membership. This exclusive membership offers benefits like FREE Omaha&apos;s Henry Doorly Zoo and Aquarium, Wildlife Safari Park and IMAX® admission for patron members and their children or grandchildren, admission for two additional guests with every visit and discounts on concessions and the gift shop. The two millionth visitor will also receive a Zoo-themed gift basket, a $500 Zoo gift card and a Zoo experience unlike any other. A personal photographer will also accompany them throughout their visit to document their special day. Help us reach two million by starting a new tradition and bring your family to Omaha’s Henry Doorly Zoo and Aquarium on Thanksgiving! The Zoo will be open from 10 a.m. to 4 p.m. on Thanksgiving Day. With over seven acres of indoor exhibits around 72 degrees, there will be something for everyone to enjoy. 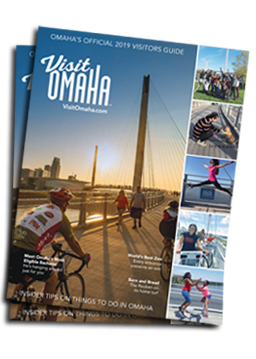 Omaha’s Henry Doorly Zoo and Aquarium is ranked one of the best zoos in the world by TripAdvisor and the top family friendly attraction by FamilyFun Magazine. Currently open daily from 10 a.m. to 4 p.m. Winter general admission prices are $14.95 for adults (12-64), $13.95 for seniors (64 and over) and $9.95 for children (3-11) through March 14. Spring, summer and fall pricing can be found on the Zoo’s website, OmahaZoo.com. Download the Zoo’s official mobile app for free on Apple’s App Store or Google Play.